The coastal municipality of Roxas in northern Palawan is the sole location of marine protected areas (MPAs) under the PRDP-GEF in the MIMAROPA Region. Currently, there are seven MPAs in the municipality recognized by the World Bank that will receive funding for enterprise and marine protection. While cashew remains as the primary commodity of Palawan, the island province is also known to be rich in various aquatic resources. At present, PRDP and the municipal government focus on these two industries as they aim to properly regulate the local businesses and at the same time have the participation of its fisherfolk communities in sustaining its marine resources. 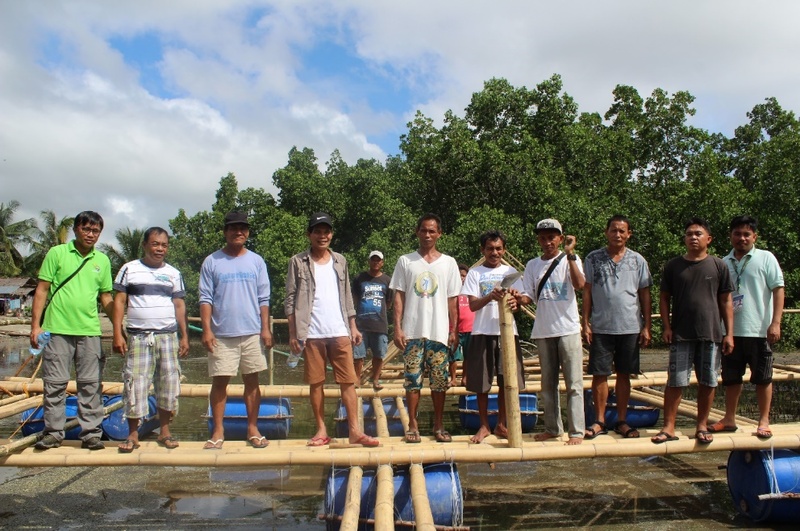 Last year, members of the GEF team from the national, cluster, and regional office visited the MPA barangays to monitor the fish cages and fish nets that will be used for the enterprise. The visit was also a monitoring of the ideal locations where the fish cages should be located. The materials required before the start of each business will be constructed by the members of the people’s organizations of Tinitian, San Miguel, Caramay, and Malcampo who will establish the subprojects on grouper culture. It is part of the proponent group’s equity which is a need for every enterprise (I-REAP) subprojects under PRDP. According to Natural Resource Management Specialist Ulysses Triambulo, initial trainings were already conducted for the members of the proponent groups for them to be able to construct the needed equipment for their livelihood. Lucio Mangga, member of the Samahan ng Maliliit na Mangingisda ng Tinitian, found the training necessary and useful given that grouper culture is a new venture for the fisherfolk in their community. Further capacitating activities on grouper culture technology will be conducted once the construction of the fish cages are done and before the turnover of grouper fingerlings. These will be held in San Vicente, Palawan where a grouper hatchery is located and operated by Palawan Mariculture Producer Cooperative (PMPC), a separate cooperative supported by the Provincial Government. A memorandum of agreement (MOA) between the PRDP and PMPC is currently being crafted for a more defined working relationship. 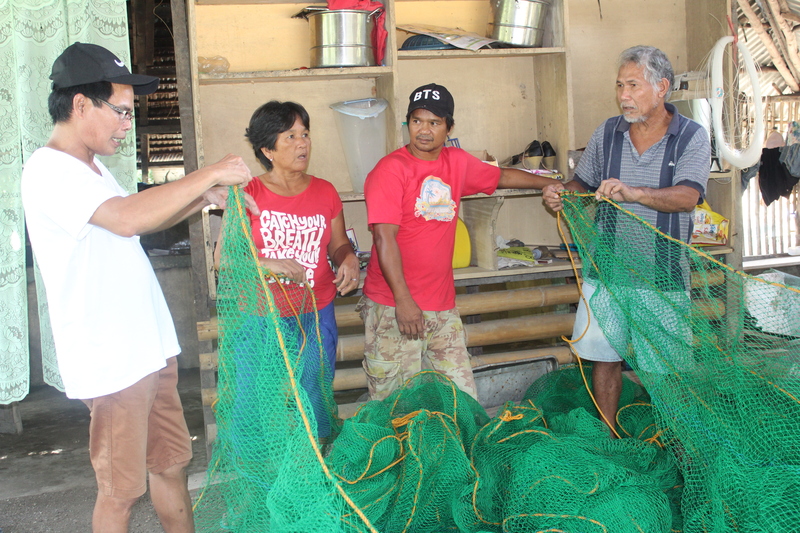 NPCO Natural Resource Management Specialist Ulysses Triambulo (left) examines the fish net that will be used by the Caramay Fisherfolk Association for their Live Green Grouper Production and Marketing Project.